Qualifications: BSc, Dip. Animal Science and Management, Cert. III Dog Behaviour and Training (NDTF). Experience: Helen began her career in animal welfare as a volunteer at The Lost Dogs’ Home in 2010 and shortly after was offered a position as an animal attendant. 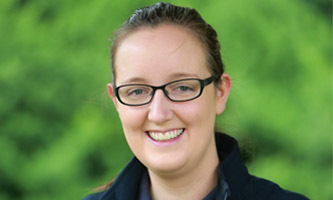 In 2015 Helen joined the newly formed Behaviour Department. She is an associate member of both APDT and PPGA. Helen has experience running adult training classes and providing in-home consultations. Interests in behaviour training: Helen has a particular interest in behaviour modification with fearful and reactive dogs. She also enjoys trick training and agility. Helen is passionate about dog behaviour education and promoting the use of ethical, force-free training methods.